The sky was cloudy as a front had moved in overnight. The unusual warm temperatures of the previous days had dropped dramatically and a cold drizzle started to come down. 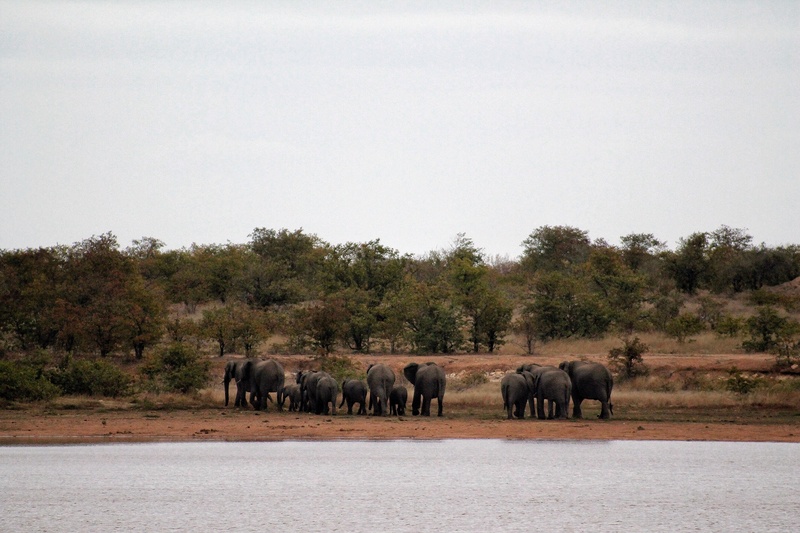 A light breeze stirred the Sable Dam water but the surrounding bushveld seemed motionless. Despite the rather chilly conditions and no clear signs of wildlife we were all very excited for things to come. Having stayed at Kruger’s bigger and busier rest camps on previous trips, this time we wanted to experience nature from a different angle. 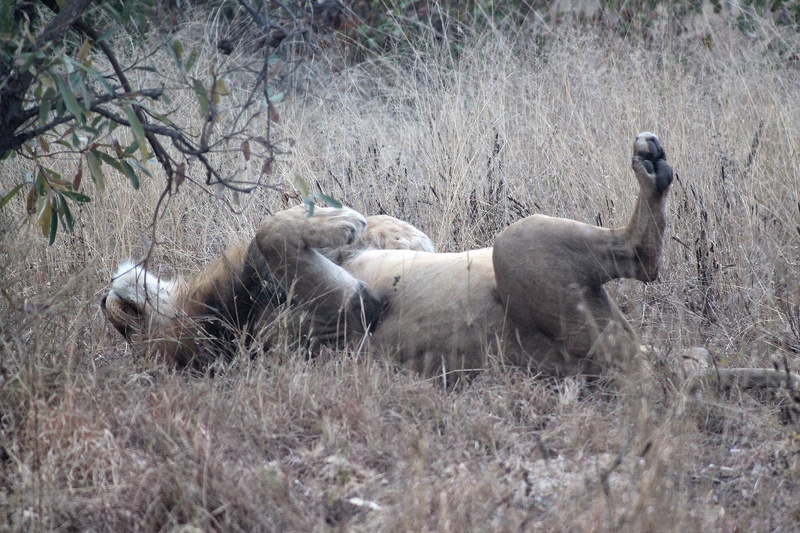 Fortunately the Park’s accommodation is very versatile, ranging from luxerious to basic and outright rustic. After six years of Aussie bush training we opted for the latter, booking nights at Maroela and Tzendze, sites designated to campers only. 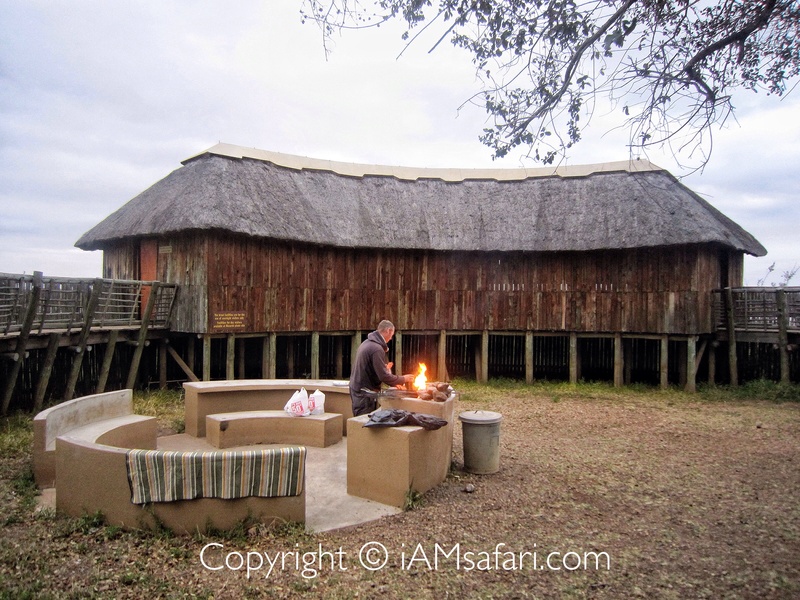 However, when we came across the opportunity to spend one night at Sable we grabbed it with both hands as staying in one of Kruger’s sleepover hides is the ultimate chance to be out in the African wilderness completely by yourself. 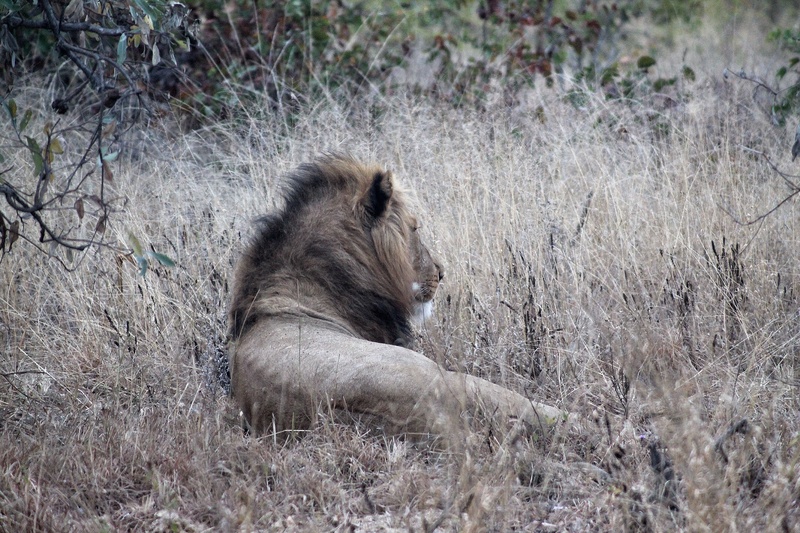 Although the hide is fenced to keep animals out, knowing no one else is around magnifies all sights and sounds – especially the shivering roar of a lion in the middle of the night! The accommodation itself is truly basic. Keys, bedding and mosquito nets can be collected at the ranger’s office at Phalaborwa gate, allowing you to set up camp half an hour before the hide closes for the public. This left me with enough daylight to provide the family with a nutritious and well-balanced hamburger meal, skillfully prepared on the built-in braai. Don’t forget to bring your own firewood as you have to be completely self sufficient. As far as the wildlife concerns we found ourselves extremely lucky right at the start of our residence. 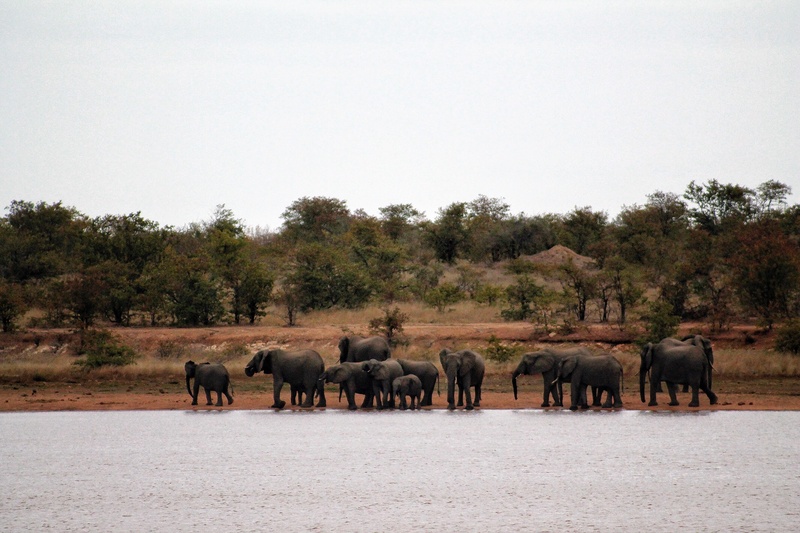 While unloading the car we suddenly spotted a breeding herd of elephants drinking on the other side of the dam. Despite our downwind position they must have noticed us as soon as we started taking photos from the edge of the boma as they walked off almost instantly and left as quiet as they came. The surrounding bush is definitely worth exploring. 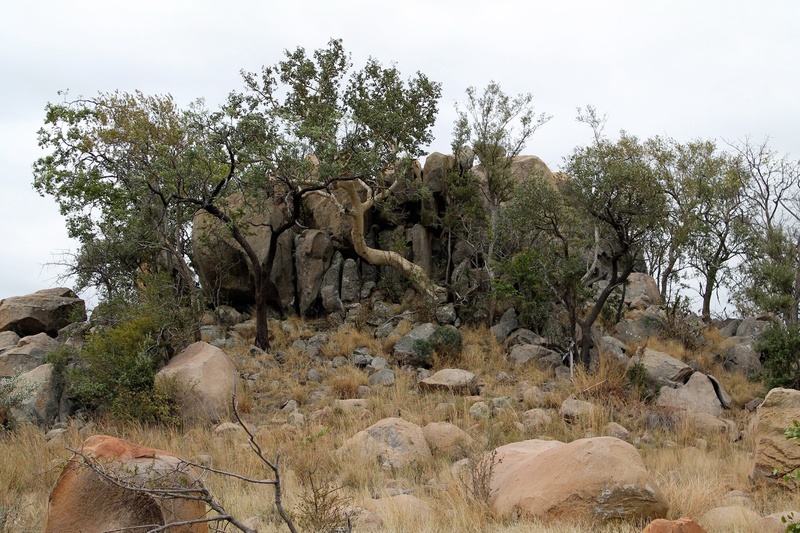 The scenic Masorini loop passes several koppies inhabited by colonies of Rock Hyraxes or Dassies (Procavia capensis), basking on the boulders and climbing nearby trees. Apart from the common Impalas (Aepyceros melampus), the occasional Steenbok (Raphicerus campestris) and a stubbornly disinterested male lion – the one that had been mating and roaring all night long- the area’s prolific bird life was worth the visit alone with sightings of Southern Ground Hornbill (Bucorvis leadbeateri), Bataleur (Terathopius ecaudatus), African Fish Eagle (Haliaeetus vocifer) and a splendid African Harrier-Hawk (Polyboroides types) as absolute highlights.